I’m starting a new series on the site all about coffee events. In short, I think going to an event about coffee is one of the best ways (if not the best) to dive in and learn more. You get to talk face to face with local coffee professionals, try a whole bunch of things you might never otherwise try, get awesome deals on coffee, etc. In this first segment, I want to share with you the upcoming Ljubljana Coffee Festival in Ljubljana, Slovenia. Specialty Coffee is on an explosive growth around the world, with many communities popping up everywhere in support of the deep craft of coffee. Ljubljana is this year hosting a coffee festival in celebration of that craft. At the show you’ll find many local, national, and international coffee roasters presenting their craft and knowledge. You’ll be able to taste coffee – get into a coffee cupping and learn what it’s all about. They’ll have lectures for getting deeper into more complex subjects. And you’ll be able to check out the Barista Challenge and Latte Art Throwdown (it’s basically the sport of coffee). 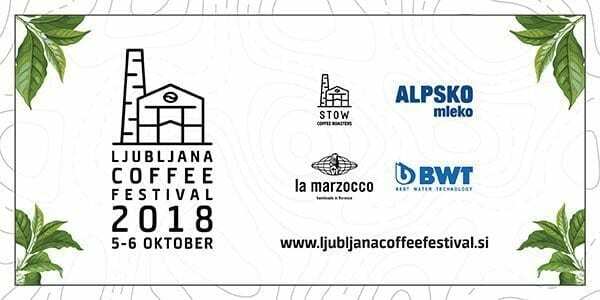 Check it all out at www.ljubljanacoffeefestival.si – the show is October 5-6 2018, get your tickets and enjoy!